THURSDAY. Closing down several City blocks over 3,500 people, dressed in white, converged on South Broad street for this years’ highly anticipated Le Dîner en Blanc – Philadelphia 2014. For a complete view of the images from this event please select this link or the “Aug 21, 2014 Le Dîner en Blanc – Philadelphia 2014” album in the right column of this photo weblog. 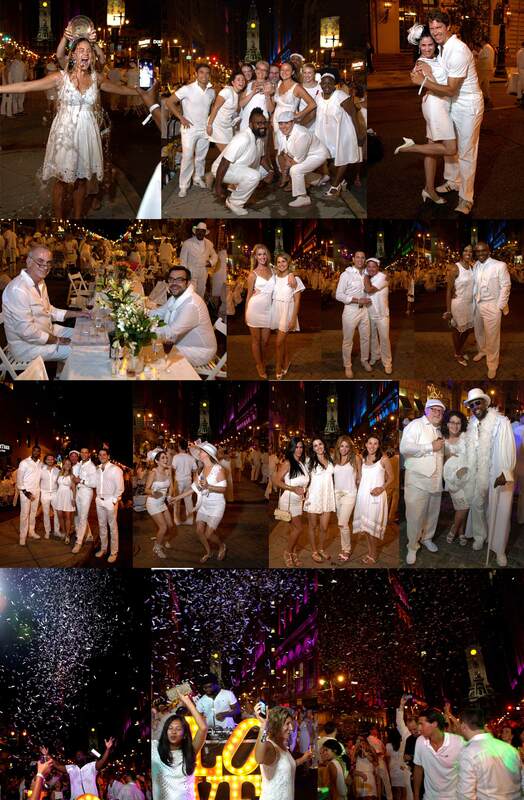 Like last year’s event on the JFK Boulevard Bridge Le Dîner en Blanc – Philadelphia 2014 it was great!